According to Medicare and Medicaid, every facility-acquired pressure ulcer (bedsore; pressure sore; pressure wound; decubitus ulcer) can be prevented if the nursing staff takes appropriate measures. This includes ensuring the resident’s body is repositioned at least once every two hours, the resident is well hydrated, receives adequate nutrition and has routine skin assessments to detect any signs of newly developed sores. Unfortunately, many nurses and certified nursing aides lack sufficient training by their facility in providing the level of care required to ensure the resident does not acquire a bedsore. Sadly, the Rochelle elder abuse attorneys at Rosenfeld Injury Lawyers LLC have represented many residents who have suffered from preventable life-threatening sores. 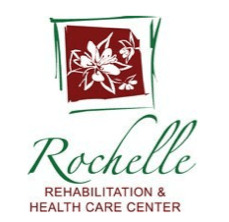 In addition to providing skilled nursing services, Rochelle Rehabilitation and Health Care Center also offers Alzheimer care, memory care, and their Pathways Rehabilitation Program. Data on every nursing facility in the United States is publicly available on numerous sites including Medicare.gov. 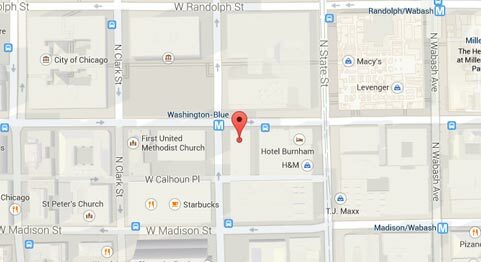 This information includes a history of safety concerns, health violations, opened investigations and filed complaints. Many families use this information as an effective solution for deciding where to place a loved one in a nursing home within their community who requires the highest level of hygiene and health care. In a summary statement of deficiencies dated 05/16/2014, a notation was made during an annual licensure and certification survey by a state investigator concerning the facility's failure to "ensure residents at high risk for skin breakdown, pressure reducing interventions were implemented, and new wounds were reported.” The state investigator also noted the facility’s failure “to monitor and evaluate the effectiveness of wound treatments.” The deficient practice by the nursing staff at Rochelle Rehabilitation and Health Care Center affected three residents at the facility reviewed for pressure sores. If your loved one has suffered injury to the negligent actions of the nursing staff at Rochelle Rehab and Health Care Center or any Illinois nursing facility, Rosenfeld Injury Lawyers LLC can help. Our Ogle County elder abuse attorneys offer free, no-obligation case evaluations to determine the merits of your case and can handle every aspect of obtaining the financial compensation you deserve. contact our Rochelle Illinois nursing home abuse law firm today at (888) 424-5757 to schedule a free consultation. No upfront fees are necessary because we accept all personal injury cases on contingency.